Superdrug are known best for their amazing sunny weather ranges like their sunscreen and self tanning. So naturally I couldn't help myself when I saw their latest Solait range. Summer is here as is my holiday and I don't want to be the palest person in the pool. These products look so pretty and summery that I didn't want to open them and ruin them. This would be the first time that I have ever used fake tan so I was quite excited to have a go. I am lily white and barely tan and self tanning has never really appealed to me but I thought why not give a go since these products look so good! The first two that I tried were the dry oil and wipes. I was a bit apprehensive to try the wipes as I thought that they may make my tan look patchy, especially if I didn't apply it evenly but I was pleasantly surprised. When I first opened the packet I had no clue how they were supposed to tan my skin as thy where white, there was no signs that they were going to tan my skin. I could have mistaken them for normal facial wipes to be perfectly honest. I looked past this and started to wipe my legs and arms, it took about three wipes to cover the whole area. I had a good night's rest and when I woke up I realised that I probably should have done the rest of my body. My arms and legs could have indicated to someone that I was a total beach babe (with no patches may I add)! Another thing that hit me when I woke up was the scent, it was like a tropical smell - which it does state on the front of the packet. I had quite a few people ask me what the nice smell was for a couple of days. On one of the first sunny days of the year I decided to give the dry oil a go. So I got my mum to go out and by the Solait Tanning Mitt which I stupidly didn't buy at the time. I picked this one up because it mentioned that it contained Argon Oil, I'm that sucker that buys anything that says it has Argon Oil in because it's supposed to be good for your skin. This new range is laced with a lovely tropical scent that I can't get enough of. This was such an easy apply and took about 10 minutes (with a little help). I was no longer a raw cake, I was now cooked (Aha! Sorry, that was the first image that popped into my head). For me, that wasn't enough so I waited a little while and decided to do another layer. I am massively impressed with this product, it wasn't streaky and it didn't drip down my legs in the shower either. It soaked into my skin nicely and left a natural tan for about four days. I can't say much about the lotion as I haven't yet tried it. Although from what I've seen it looks quite good but I think it might turn me a bit too dark for my liking. I want to try it when I'm t home for a few days as I don't really want to walk out of the house looking like a pile of poo, lol. 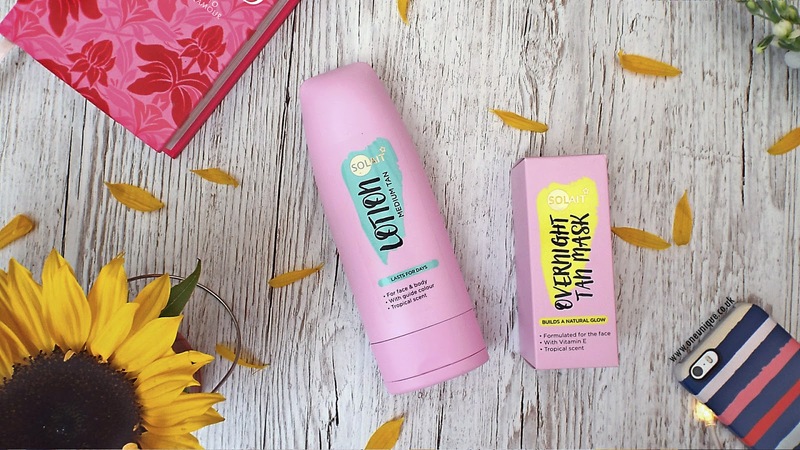 I have tried the overnight mask and I was pleasantly surprised. I tested it on my arm first to see the darkness and get an idea of how much I would need to use. The overall colour was natural and I was very excited to try it on my face, obviously I am trying to time using it on days when I don't have to go out the next day and that is proving difficult. My first use, I didn't apply much, and in the morning there wan't much difference in my skin tone. The application was great, it's just like a moisturiser and it soaks into your skin as you sleep. It contains vitamin E which is good for the skin and over a few days you can slowly build up the tan. I think that was the issue when I first tried it, I didn't build it up the next night. Beginners mistake. the next time I try it, I'm not going to make the same mistakes as last time. I'm awful at fake tan so I'm going to have to do it in a period where I'm staying at home. This range has been out for a while and I was meant to get this post up ages ago but quite a lot of things prevented me from doing so. 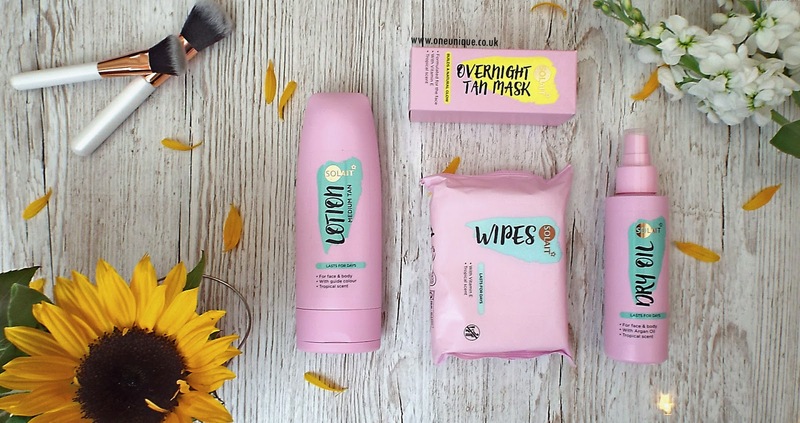 I love these products, my favourite has to be the wipes, they're so easy to carry around on holiday and also to get a quick and even tan. What's your favourite tanning product on the shelves? I think I tried the Dove lotion a couple of years ago, it was pretty good from what I remember! 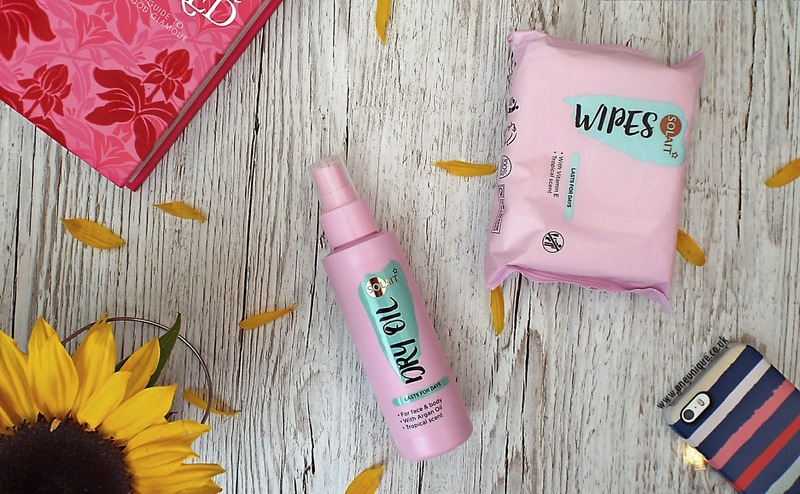 I would totally go for the wipes if you want a quick and easy tan, thy are definitely for the newbie self-tanners! Oooh I might try the wipes, especially if they don't leave patches! I love the pictures you took on this blog post! What camera do you use?